What does high school look like when it is inspired by Montessori principles? 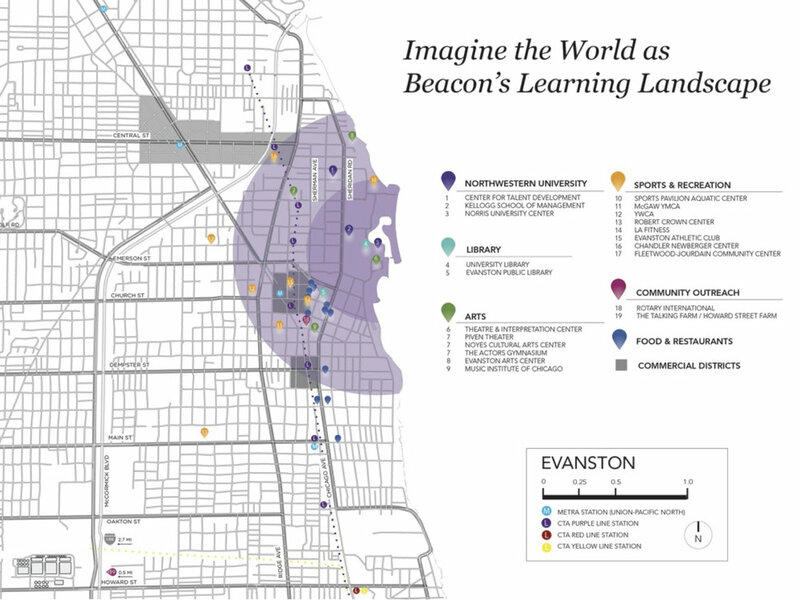 Beacon Academy is a new independent high school in the Chicago area that explores what secondary education looks like when it is rooted in Montessori principles and reaches out to the world. This progressive school offers students an empowering learning environment, providing the skills and experiential connections necessary to contribute to a complex and diverse world with compassion and confidence. 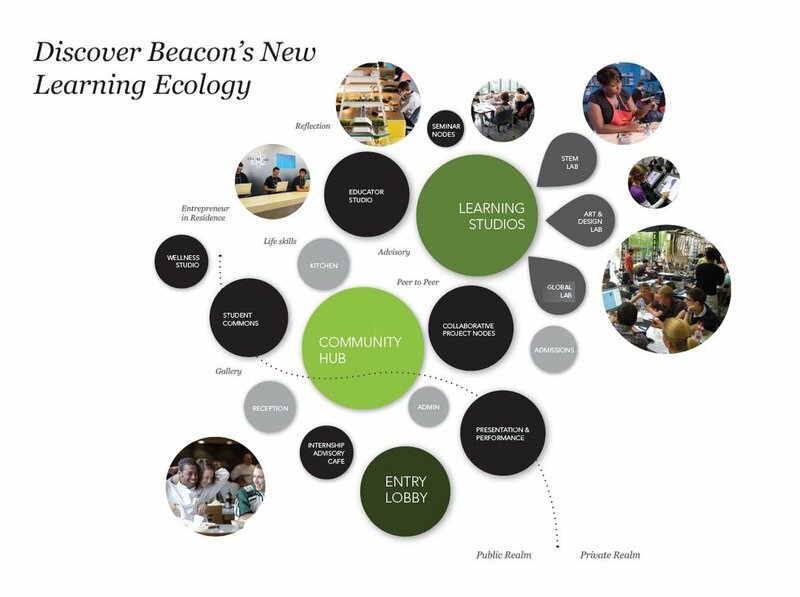 The Third Teacher+ team designed a process to uncover Beacon's emerging community and illustrate values as they formed. From visioning and programming to the school opening process– we considered the space, curriculum, team, development, recruitment, and organizational functioning of this new school. The collaborative relationship between the founding board and design team allowed for dynamic co-creation. This process led to a signature program, iconic design, and a growth plan for the future. This project was created in collaboration with Trung Le, Sarah Malin, Melanie Kahl, Teri Wright, Michael Cummings, and Raquel Morales.